We spend so much time finding the perfect gift and deals for others. We decorate our homes with holiday wreaths, Christmas lights, Nativity and Santa and his reindeer. We put up the Christmas tree either cutting one down ourselves, picking one up locally or putting up the Christmas tree that was stored in the garage or basement from the year before. We bake frosted sugar cookies, butternut snowballs, peanut butter cookies with chocolate stars and gingerbread men. When all is said and done, we are beat. Maybe we forget to eat a healthy breakfast, lunch or dinner. Maybe we eat some of the cookies we are baking instead . Bottom line is we forget to take care of ourselves. This holiday season, make sure to include taking care of yourself as one of your goals. There are simple changes you can make to stay healthy and keep the energy needed for your fast paced schedule. If you know you are not going to be eating as healthy as normal, incorporate something easy like adding healthy chocolate. Healthy chocolate is not the candy you think of when you think of chocolate. Beyond Healthy Chocolate Co. uses a patented cold press technology that does not heat the chocolate. This is important because it keeps in all the antioxidants and flavonoids that are found in raw cacao, what healthy chocolate is made from. Grandma always said to eat your fruits and vegetables yet most of us don’t. 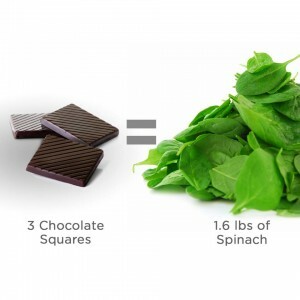 If you find you are not eating your 8-10 servings of fruits and vegetables, simply incorporating 3 pieces of healthy chocolate a day can help to bridge the gap. Three small pieces of Beyond Healthy Chocolate has the antioxidants and flavonoids you need. My favorite chocolates are the Xobiotic. 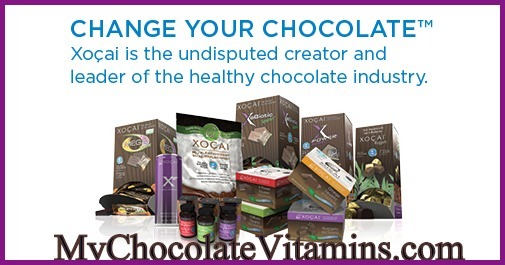 All of our chocolates are yummy, but if you are not sure which to order, I recommend either the Xobiotic or Nuggets. You can also order the variety pack which has 4 of our most popular chocolates. Order on the monthly plan and every third month for the first year you receive FREE product equal to your monthly order plus FREE SHIPPING too. Now thats a deal. No excuse, start taking care of yourself today. We are Three Sons Marketing LLC, Wayne & Lynette Henk. Call us at 941-216-5727 or visit our website at MyChocolateVitamins.com. We would love to hear from you! PreviousBest Monthly Chocolate Subscription Gift Idea For Family and Friends This Christmas Holiday Season With Free Shipping Offer! NextHappy New Year Promotions From The Healthy Chocolate Company Including BOGO Beyond Beauty Cream Anti-Aging, Healthy Chocolates & The Chocolate Diet Featured On The Cover Of The Bariatric Journal!